Advances in technology affect all areas of life, and dentures are no exception. DentureTech are at the forefront of dental technology. Procedures and materials are constantly updated to take advantage of the benefits of technological advances. This is reflected in the variety of dentures available to patients, which are all hand crafted and personalised by a team dedicated to creating the most natural looking and comfortable dentures possible. 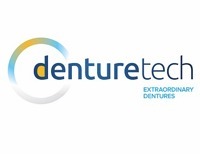 DentureTech are proud to offer a wide selection of dentures to their patients. We have designed two ranges of denture with all budgets and requirements in mind. Our "Quality Range" is comprised of four dentures and we also offer three speciality dentures in the "DentureMax Range". In addition we offer "EndoTech", a specifically designed implant retained denture. As one NZ's more progressive Clinical Dental Laboratories, Denture Tech highly regards privacy and professionalism, and provides an environment that's comforting as it is assuring. We provide safe, sustainable, efficient, quality dental services, always working towards a healthier, happier Auckland.